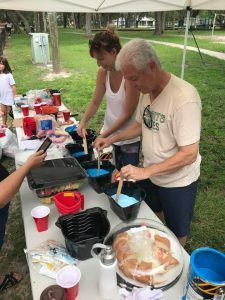 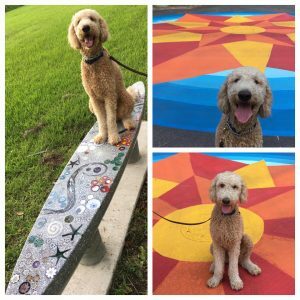 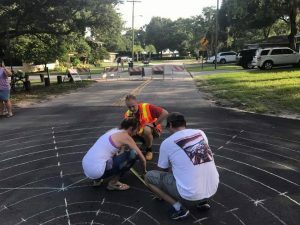 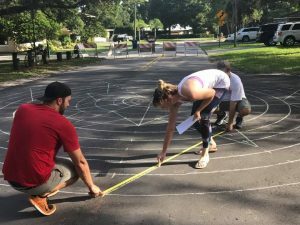 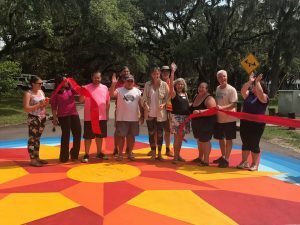 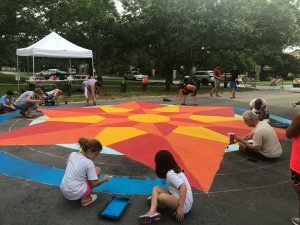 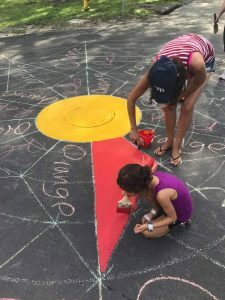 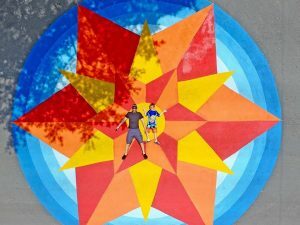 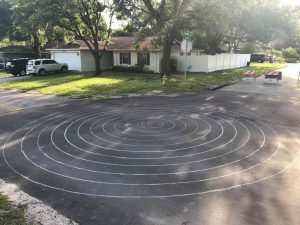 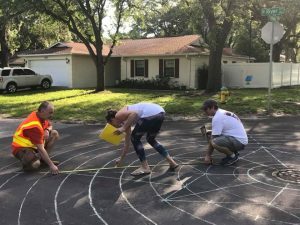 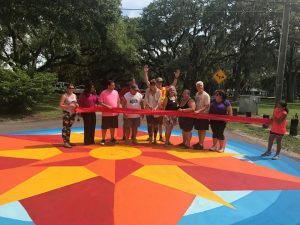 The South Seminole Heights Civic Association and the City of Tampa brought to fruition an idea that started over two years ago, the city’s first painted street mural at the intersection of North River Boulevard and West Louisiana Avenue in South Seminole Heights. 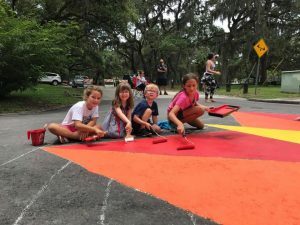 In addition to adding public art, the street mural also instills community pride and uniqueness, while acting as a traffic calming measure increasing pedestrian safety and walkability in the neighborhood. 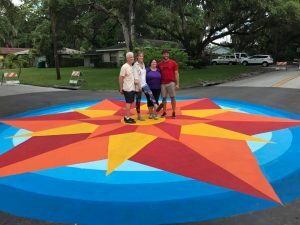 The South Seminole Heights Civic Association Board would like to thank all of our neighbors who helped volunteer to paint this project. 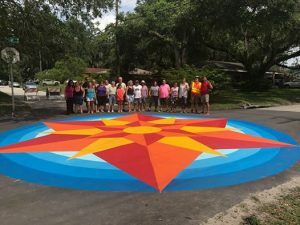 We would also like to thank Past President Donna Stark for getting this idea off the ground, William Porth with City of Tampa Transportation who was key in navigating requirements with the city, Hillsborough County for the neighborhood mini grant to help fund this project, Shumake, Loop, & Kendrick, LLP for their private donation, Councilman Mike Suarez for his support and helping paint as well, and the many others who were involved in making this fantastic project a reality. 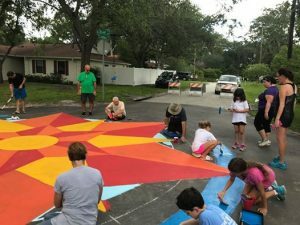 To purchase prints of the South Seminole Heights Street Mural please visit the artist’s Etsy Shop. 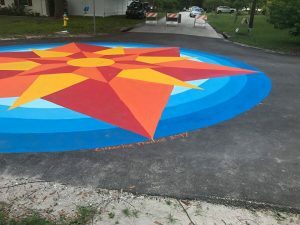 Catherine Thomas is an Artist and Expressive Arts Facilitator based out of Saint Petersburg, FL. 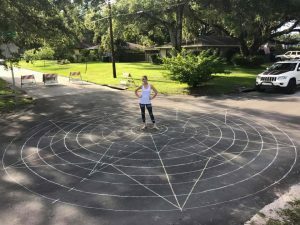 As an integral part of her own expressive arts practice, Catherine uses mantras and mandalas as her own form of meditation and healing. 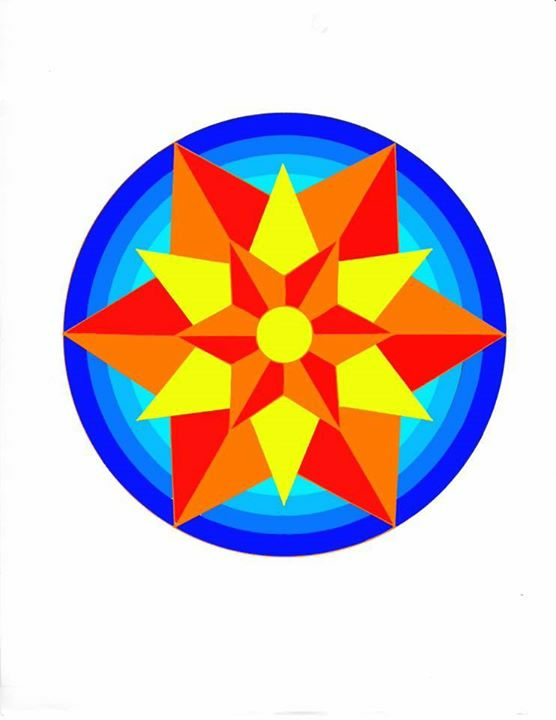 She hopes to help inspire others on their own journeys to living happy, balanced and authentic lives. 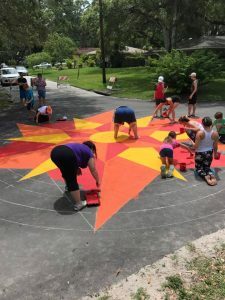 In addition to creating inspirational pieces of art, Catherine also works with cancer patients, their family members, and caregivers using expressive arts for healing as an approach to helping others express themselves and heal through different arts based practices. 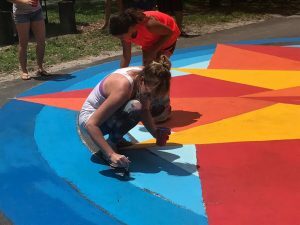 She hopes to begin offering expressive arts workshops for healing, personal development, and self discovery in the Tampa Bay area soon.